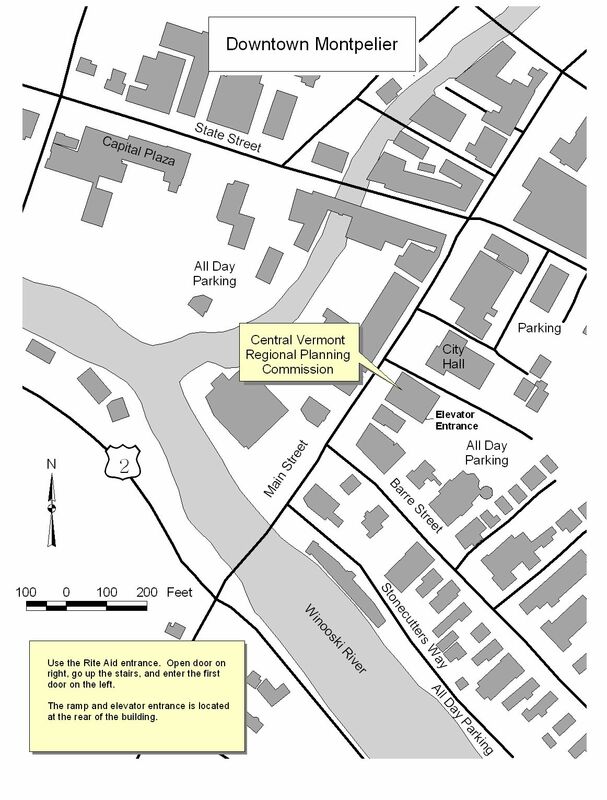 The Green Mountain Transit Agency (GMTA) and Central Vermont Regional Planning Commission (CVRPC) will be holding public hearings to receive comments on the Transit Development Plan (TDP) which addresses the future of GMTA services. Each meeting is open to the general public, on GMTA bus routes and ADA accessible. GMTA encourages all residents within the central Vermont region to attend and offer comments on the proposed plan. For more information, contact CVRPC Senior Transportation Planner Steve Gladczuk, 802-229-0389. For those who cannot attend but wish to provide comments, please contact info@gmtaride.org or call 802.223.7287. To view the TDP on line, go to http://www.gmtaride.org/resources/transit-docs.html. Persons with disabilities who require assistance or special arrangements to participate may contact GMTA at 802-223-7287 at least 48 hours in advance so that arrangements can be made. Vermont Emergency Management (VEM) and FEMA Region 1 will be conducting a comprehensive Local Mitigation Planning Workshop at VEM’s temporary offices in Waterbury on Wednesday, March 23. Please mark your calendars accordingly. 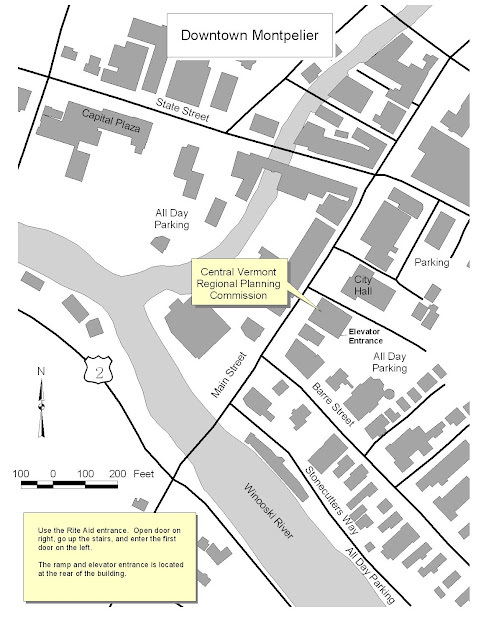 The training will be held from 9 AM to 4 PM in VEM’s temporary Emergency Operations Center, located in the lower level of the Weeks Building in the state office complex in Waterbury; a convenient map is attached to assist you in finding the entrance. You may also enter the Weeks Building from the main front entrance and then descend to the lower level. Lunch will be provided, and there is no cost to attend the workshop. As parking space is at a premium at the state office complex, it is advisable to give yourself extra time in the morning to find a parking spot. The training will cover the following elements: single jurisdictional (stand alone) mitigation plans, multijurisdictional plans, updated FEMA guidance and simplified checklists, etc. We encourage all local, regional and state planning staff to attend this important workshop. Please pass along this announcement to any town officials or other interested parties which may benefit from attending the training. Please confirm your participation in the workshop by sending Ray Doherty (rdoherty@dps.state.vt.us) an e-mail message no later than March 7, 2011.